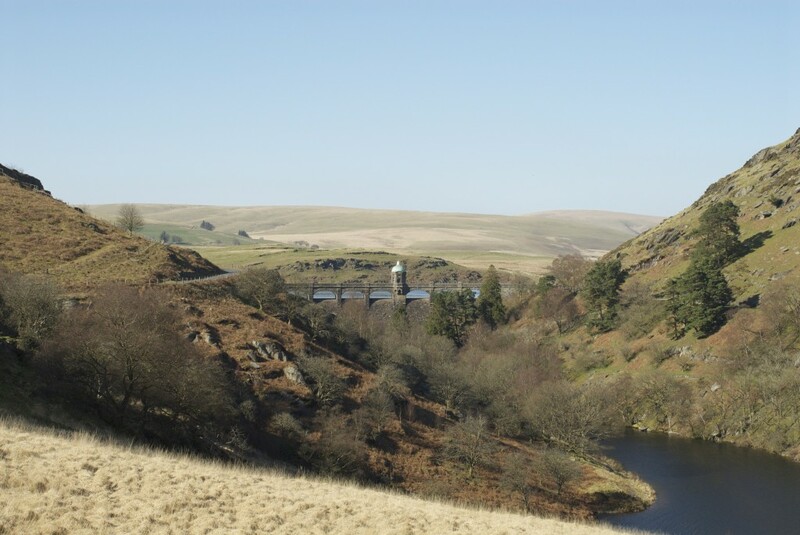 Rhayader, the small town at the head of the Elan Valley, is two hours from the M5 at Worcester which is a wonderfully picturesque drive in its own right along the A44. 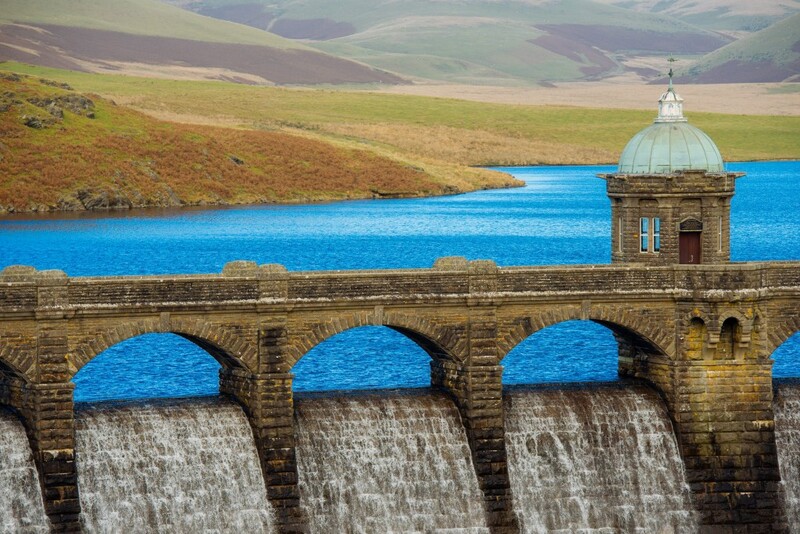 But the magic really starts once you enter the Elan Valley. It’s known as the Welsh Lake District and features five huge dams with a road hewn into the craggy hillside running beside the tranquillity of the lakes. The dams were actually built in the late 19th Century to supply fresh water to Birmingham 75 miles away. Even now their granite pillars represent an awesome feat of engineering and a dramatic counterpoint to the immense natural beauty around them. But their most spectacular use came towards the middle of the 20th Century when Barnes Wallis, an inventor and engineer working with the RAF, and 617 Squadron employed them as training aids for the legendary Dambusters bombing raid on Germany. Time your visit right and you can go on a guided walk to see the remains of the Nant y Gro Dam. It was chosen for its remoteness and the fact that experiments on it wouldn’t be overlooked. And it was blown up by the Ministry of Defence all in the cause of developing the famous bouncing bomb. There are actually 73 miles of aqueduct in the Elan. 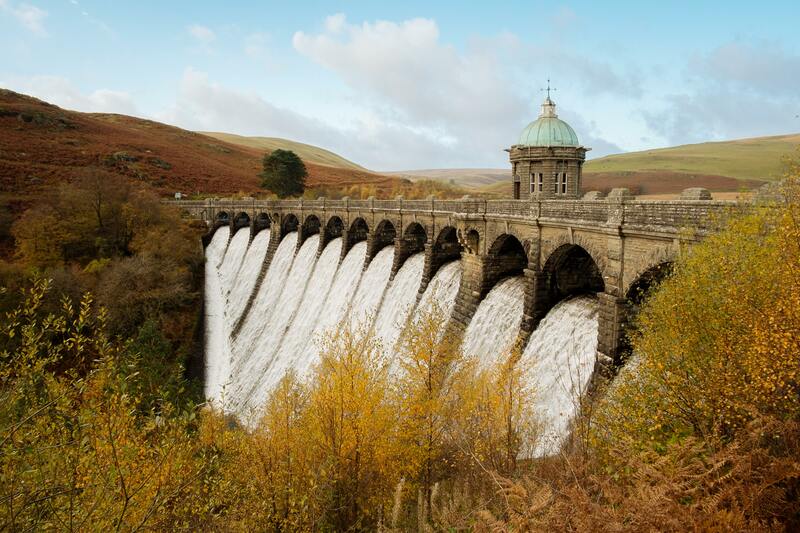 The first you see, for the Caban Coch reservoir is a dramatic wall of water. As you drive past, bear in mind that the romantic poet Percy Shelley, recently famous from the Rob Brydon/Steve Coogan programme The Trip, lived in a house that is now submerged in the reservoir and you get an idea of just some of the history surrounding the place. However the road, and therefore the driving, don’t get really interesting until the subsequent Pennygarreg and particularly Craig Goch reservoirs. The stretch of road away from Craig Goch ranks in the list of most challenging roads you’ll find anywhere in Britain. There are tight hairpins and open, well-sighted bends. It goes up hill and down. There are challenging cambers and blind crests. In short, it’s a driver’s delight. Much of what you experience is down to the time of year you drive it. In winter it displays the kind of bleak and rugged beauty that you don’t tend to get in the UK much further south than the Scottish highlands. It’s undoubtedly the best time of year to experience the Elan at its most remote and dramatic. It’s also unusual if you see another vehicle. In the summer the weather is a little less damp but while it’s never exactly teeming with transport, it’s a lot busier than through the winter months. The last stretch has a winding sequence of bends with unforgiving granite walls either side but you still can’t forget the majesty of the views around you. At the head of the valley, you take a right turn and it brings you back down into Rhayader. Alternatively you could turn round and drive the whole thing again. It’s that kind of road.